My husband bought a very thoughtful and loving card for me, along with some gifts. The card had a gem heart on it that was visible through a circular opening. Ephesians 4:12 encourages us to be completely humble. Have I been completely humble in my marriage? The scripture also says to be gentle. Have I been gentle in my actions and words? Other times, however, I haven’t. Have I been patient with my husband? Have I always found myself to be “bearing” with him in love? After all, I do want my attitude to be right in my marriage when God looks through my life and sees my heart. 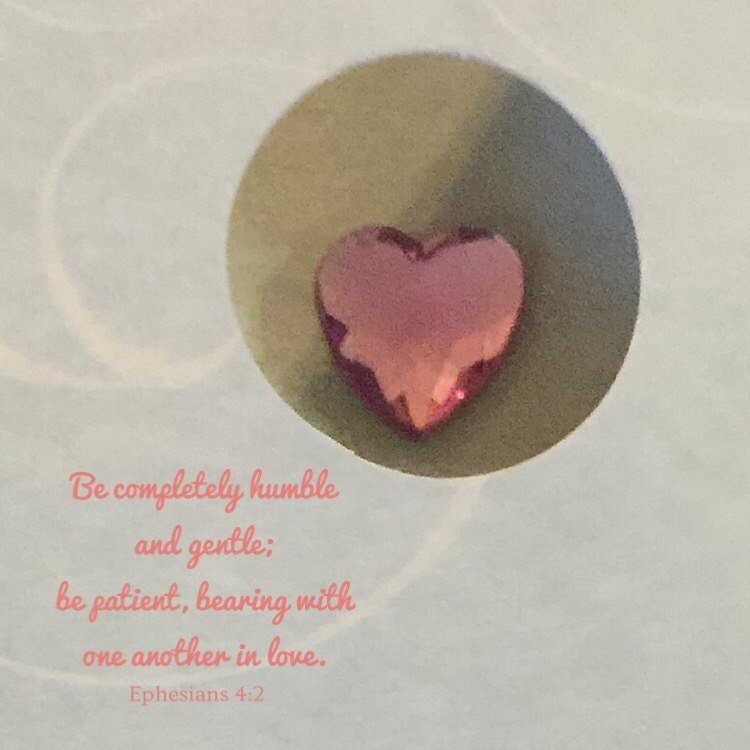 This entry was posted in Bible verses on photos, Inspirational photography, love and tagged heart, love, patient.